Chances are you are a golfer that fits into one of these broad categories; You play once or twice per week, maybe get to the range once per week, if you manage to squeeze it around all other obstacles life throws your way. Or you are a committed player, junior or adult. You have more time on your hands and you make sure you create more time to invest in your golf. 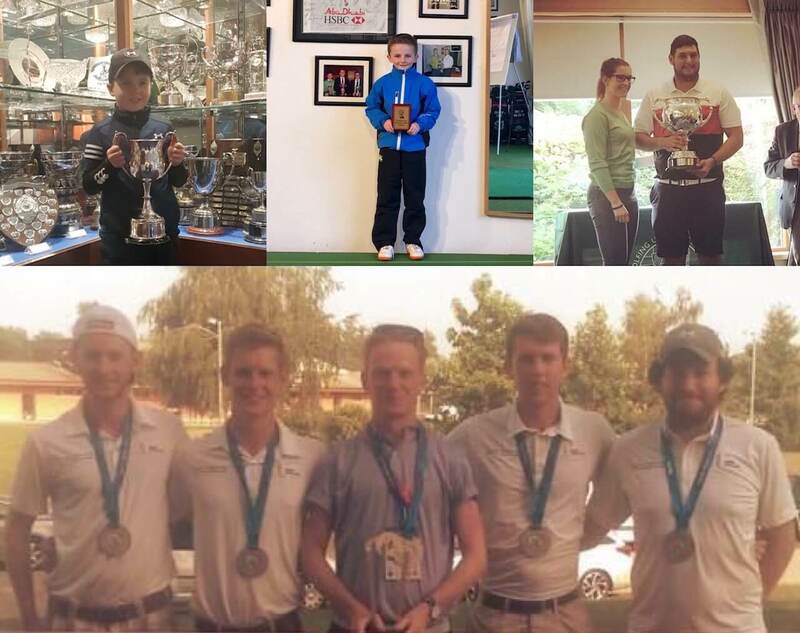 You have high ambitions for where you want to take your game, whether that be a junior trying to push on to National level and beyond or an elite amateur preparing yourself for the next stage of your journey. I meet and work with both types of players on a daily basis. Although there’s a problem. You are working hard all the time and you are not seeing the results you want to see. So the idea comes to you one day that you want to make the investment in golf coaching. Firstly, good choice, you more than likely can’t achieve what you set out to all by yourself. 1. “The McDonalds mindset”: This is the mindset where you look for the cheapest, “best value” coach you can find. After all why would you pay £70 for a lesson when you can get one for £30? A lesson is a lesson right? 2. “The Michelin Star mindset” :This is the golfer who is looking for a high quality experience. They are willing to pay a premium price because they know they will receive a premium product and be treated accordingly. You may pay more and wait a bit longer for the result you were looking for, but it can’t be beaten anywhere else when you experience it. After all, you wouldn’t expect to walk into a Michelin star restaurant and be served fast food would you? In my opinion, this is where your golfing roadmap reaches a junction. You can go one way or the other. Also, let me say that there is no problem at all with possessing the “McDonalds mindset” or the other one. As long as you are clear in exactly what you want from your golf and your coach, because if you choose to go down a road which doesn’t line up with your mindset, then you may well end up rather frustrated and with an unhealthy attitude towards golf lessons. At Johnny Foster Golf, Johnny, Jordan and I believe we can work and help both of the previously mentioned mindsets. Although, my main motivation in writing this blog is that you have to be 100% sure you know what you are looking for. I work with a lot of young golfers between the ages of 10 and 21, some of them with lofty ambitions, some of them with the goal of simply enjoying competition and consistently getting better. If you have these ambitions of long term improvement, the old model of a 30 minute lesson every few weeks does not work! Although, that’s just my opinion. Say you are a 5-10 handicapper, you want to lower your scoring average and therefore your handicap by 3 shots this year. If you are going to see a coach for 30 minutes to an hour every two or three weeks, I don’t believe that is putting you in the position to achieve your long term goals. This is because there is so much which the coach needs to know and evaluate in order to give you the best opportunity to reach your goals. More than likely, you’s will get straight into your golf swing and work on making it better. 3/4 months down the line, what do you have? A better looking golf swing but your scores haven’t really changed. This doesn’t make you feel good. Trust me, I’ve been there, as a player and as a coach. What are their end goals? What is their confidence level in each aspect of their game? What makes them tick and motivates them to work hard? How do they react to failure? Do they have an open mind when it comes to change? What’s their current idea of practice and hard work? What shot scares you most? What’s their life/work/school balance like? A lot of stuff yea? That only scratches the surface. I will also test the player to gather data on all parts of their game, evaluate their technique and discuss what needs to be adjusted to increase the chance of seeing the ball flight patterns they want to see. Once this is done, we create a plan, our agreed path that we are going to take toward the student’s success. And remember, this could be an everyday golfer trying to reduce his handicap from 18-15 or an elite amateur looking to turn professional. So, if you are a golfer with the McDonalds mindset then that’s great. You know what you want, quick fire, easy satisfaction for a knock down price. It may not be overly beneficial to you in the long term but it hits the spot at the time. As long as you know that’s what you want then go to your chosen coach and let them know your ambitions and expectations. You walk away with a smile on your face and increased confidence in your game and I am happy I have done my job and provided you with what you want. Or if you are a Michelin Star golfer, then I urge you to consider whether or not your coaching structure is designed around providing Michelin Star results. The idea of popping in for 30-40 minutes every few weeks and dealing with problems as you see them is not likely to lead you to your preferred destination. So if this is a problem that you see, have the conversation with your coach about designing a structure that is more in line with your ambitions or find a coach that will give that to you. You may find that it will require a larger investment in time and money. Although, if I asked you how much you would pay if I could guarantee your goals were reached and you were happy and enjoying your golf, I’d be surprised if it was below what you’d pay for a quality coaching programme. Thanks for reading. If you have any questions or queries on the blog then absolutely feel free to get in touch on social media, email or phone. I’d love to hear your thoughts. If you are interested in learning more about a programme designed to ensure that you progress to the level you want to be at, then get in touch with us and we would love to discuss this with you.